UFO confession time: 4 quilt tops (and 1 back) to sandwich, quilt, bind, and many blocks in various stages, but the very first thing I have to complete is October’s block for Sew Buzzy. Aside from having some personal issues this holiday season, I’ve learned I’m just not that fast or skilled at embroidery. 1. Finish and Catch Up (and STAY ON TOP OF) Bee Blocks The end quilt is going to be phenomenal and I know Lee has some time before the quilt needs to be finished (and is aware that I’m taking extra time to complete the block) but jeez I feel bad that it isn’t done. I think it will be done by tomorrow and then I can put it in the mail. I hope she loves it and that erases any irritation at having to wait so long for it. Then I can do my January block for Sew Buzzy and feel good about my Beeing. 2. Finish Madison’s Bowtie Quilt After my Bee blocks are caught up, then I can finish my niece’s bowtie quilt and send it to her in California. I wish I could hand deliver it – I miss that little girl. not so little anymore, but still young enough that I could probably get a squeeze in without eye-rolling and such. The other two quilts in that picture are my FWQAL top and the Over Under Scrappy Do. I’m pretty happy with how those two quilts are going to look together, though I think the FWQAL will end up in the living room a lot. Before I can work on the quilts for my home, I need to figure out a baby quilt for a house that’s half Packers, half Bears. I know I can combine Dark Green, Gold, Navy, and Orange in some way that isn’t hideous, but so far nothing concrete has come to mind. It’s a spring baby, though, so let’s hope my muse favors me soon. If all goes well with goals 1-4, then I’ll get back to my Mermaid Swoon. I’ve got 8 of 9 blocks done. I’m iffy on the eighth and also toying with the idea of making 12 blocks, but this one’s been hanging out there a little too long and needs to be finished. On the side, when it suits me, I’m doing a few scrappy trip blocks, but I have no time goal attached to that project. It’s nice to have something without a deadline when I’m feeling too much pressure or just want some “just for fun” sewing. 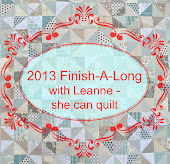 and I’ll continue to try to find time for the endless quilting of my Pickle Dish. Love your swoon, and the pickle dish. Hoping to get back to my swoon later in the year. I adore your blog. Outstanding write-up. It is extremely genuine, folks really should learn how to learn previous to they'll learn. Having no clue on the best way to start an exploration paper don't squander your time and cash on obscure sources. Address custom essay writing service, the first class, solid and broadly spread writing service that will offer you help with any part of research paper writing, including theme, postulation proclamation, inquire about, structure, designing and others. Each most confounded angle will be correct and prepared for you. There is no compelling reason to waste time when you have a chance to get quick help with custom essay writing service.